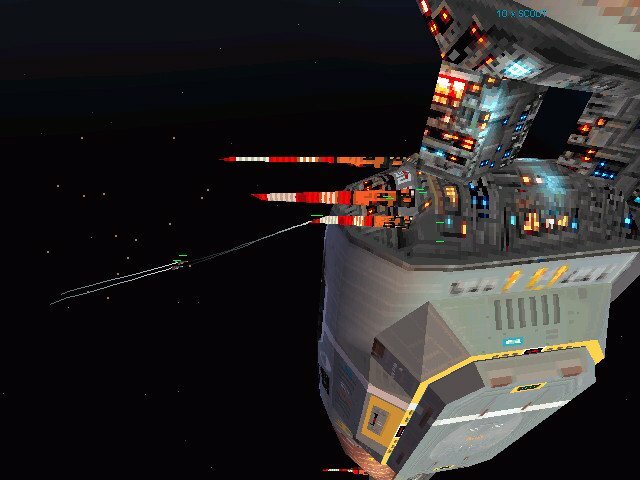 The story behind Homeworld’s campaign borrows quite a bit from Battlestar Galactica. 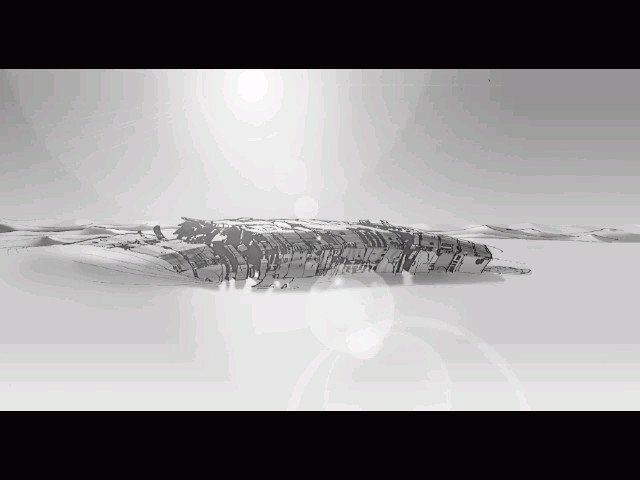 The people of the planet Kharak have spent the last 250 years constructing a giant mothership in which a half-million members of the population will attempt the voyage to their ancient and very distant homeworld of Hiigara. 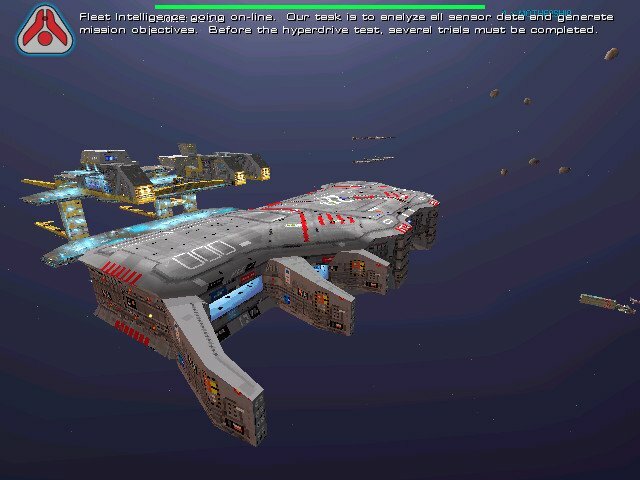 As the game opens, you are in charge of the first test of the mothership’s systems. Almost immediately things go terribly wrong and you come under attack. It seems a galactic empire forced your ancestors to sign a treaty 4,000 years ago forswearing the development of hyperspace technology, and the price for breaking it was the obliteration of your planet. Now all that’s left are the mothership and the fleet that it can build and maintain. 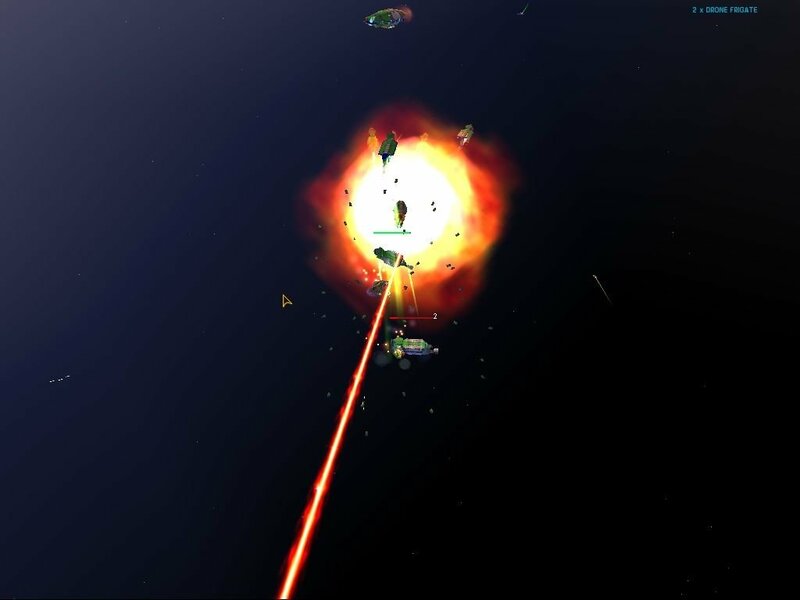 That fleet must now battle its way through a hostile galaxy to Hiigara. 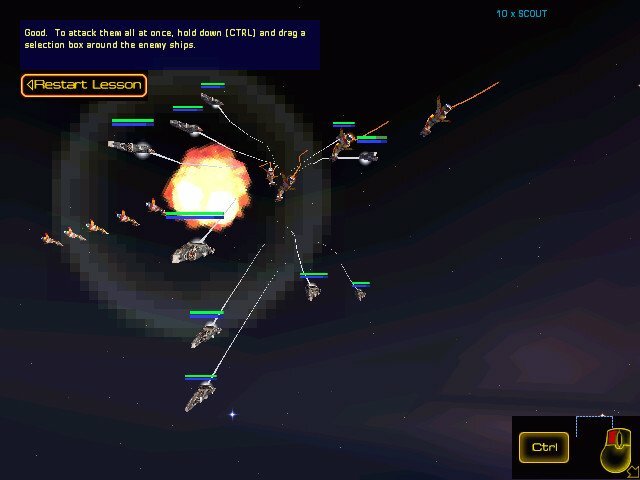 Homeworld tells the story of this journey in the form of a real-time strategy game. 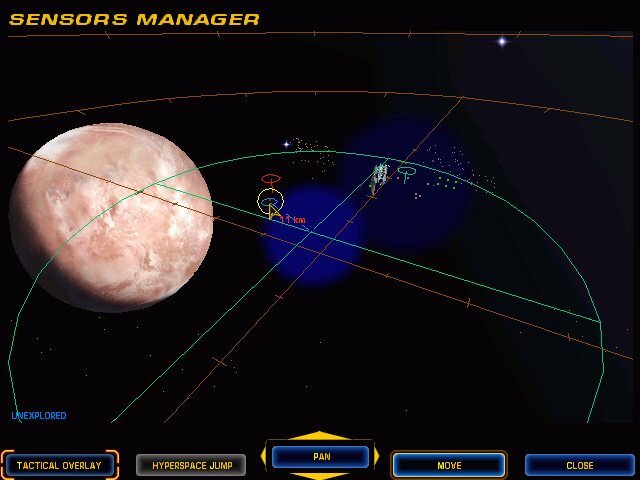 While at its core it maintains the classic build, manage, and destroy real-time strategy (RTS) formula, it does so with presentation, setting, and gameplay elements that combine to form a completely original gaming experience. The visuals not only match the gameplay, but complement it. On a macro level you can zoom out and enjoy a wide-eyed view of the game’s huge battlefields. Zoomed in close, the ships are richly detailed. 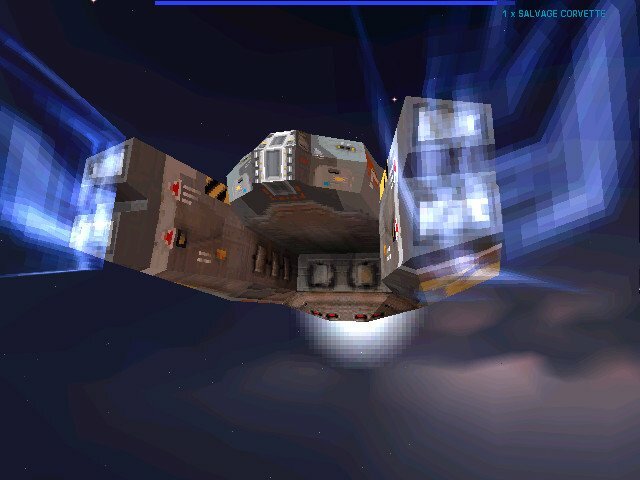 Rotating guns move convincingly and turrets track their targets. Ion cannon bolts lance their targets with blinding effectiveness. No game before has made space itself look so good. 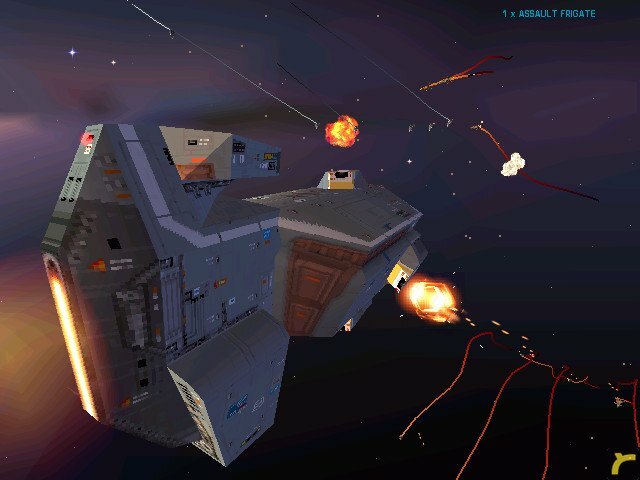 Before Homeworld, outer space always looked like, well, outer space – empty and drab, with a stars sprinkled here and there. 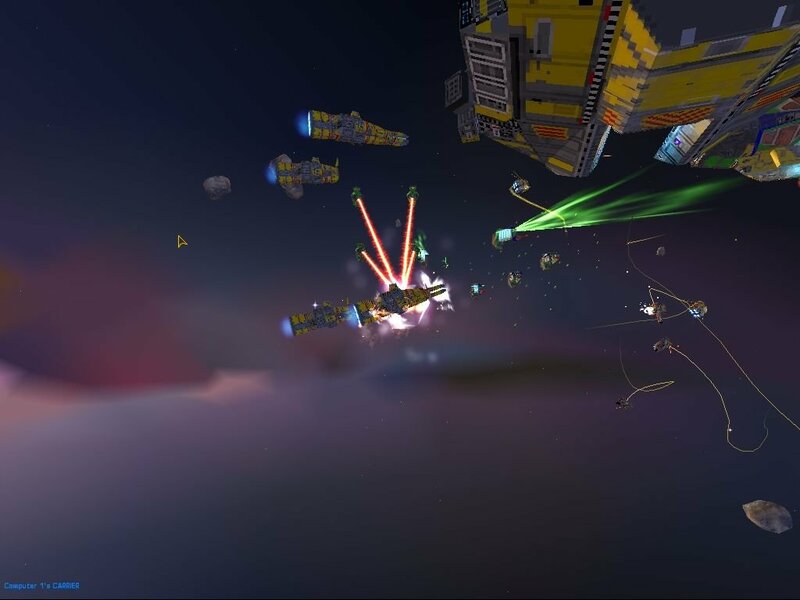 In Homeworld space is alive with vibrant color, full of nebulae, planets, space debris and nearby shinny stars illuminating the game world and also providing a very useful way of orienting yourself when moving the camera. 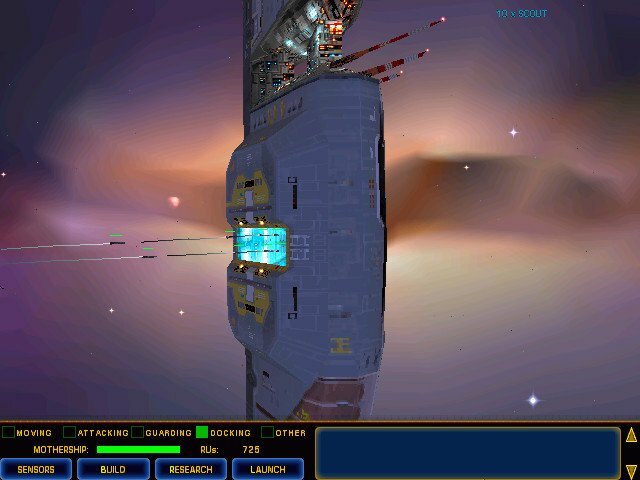 Unlike other RTS games, Homeworld isn’t strictly limited to a horizontal plane – you can send your units flying both up and down, and the interface used to control this is quite ingenious. 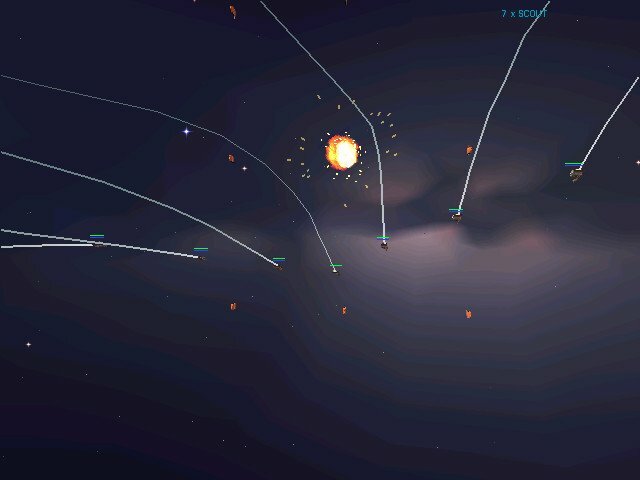 This freedom of movement gives the 3D combat its very own distinctive feel that you won’t find in typical RTS games. With little in the way of obstacles (some of the maps do require you to navigate through asteroid and radiation belts), combat in Homeworld’s single-player campaign is far more tactical and less attrition-oriented than standard RTS fare. 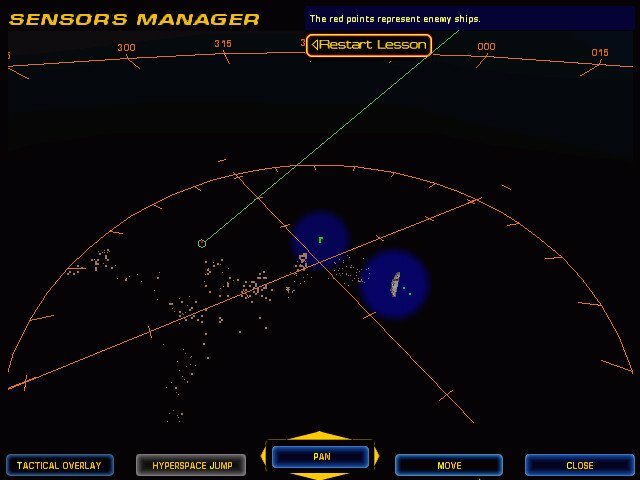 The emphasis is on choosing the right ships, the right formations, and the right tactics for the task at hand, instead of finding a back door into an enemy base or blowing up facilities in the proper order. 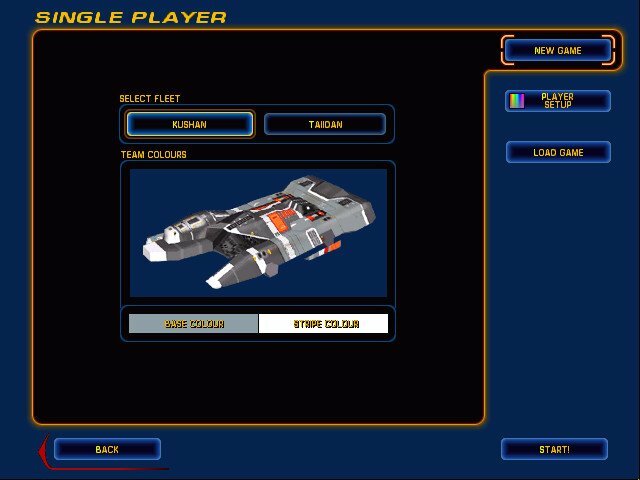 Although the game’s 16-mission campaign is linear, the missions are not disconnected, stand-alone scenarios strung together by the story line. 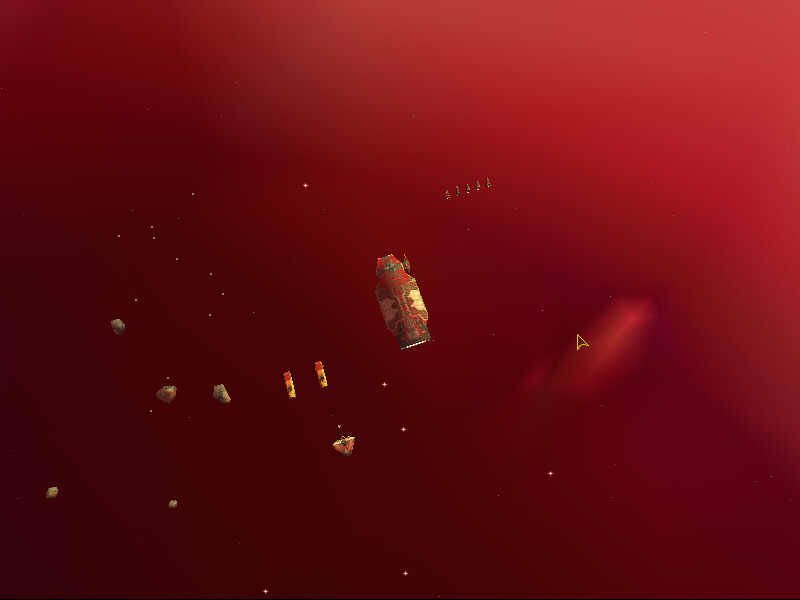 Because you carry into each subsequent mission exactly the number of ships and the amount of resources collected by the finish of the previous mission, each mission feels like it is part of a larger whole. 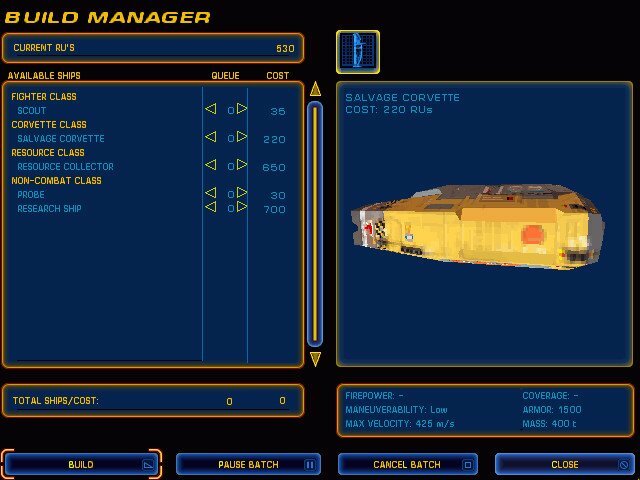 It also means that you have to take care to keep your fleet whole. 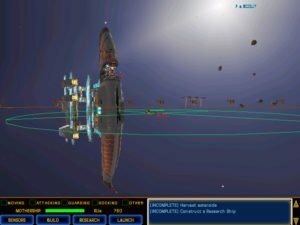 Later missions naturally tend to demand larger fleets than earlier missions, and there are never enough resources in any one mission to rebuild the fleet from scratch. 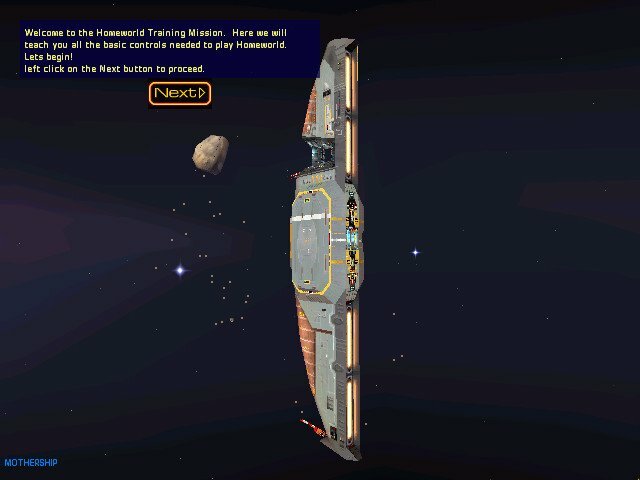 So if you stagger into the next mission with only a couple of ships surviving the previous mission’s combat, it’s time to restore and try again, because there will be no hope of completing the current mission. While this does add a certain frustration factor to the game, it also gets you into a different mindset than standard RTS games. 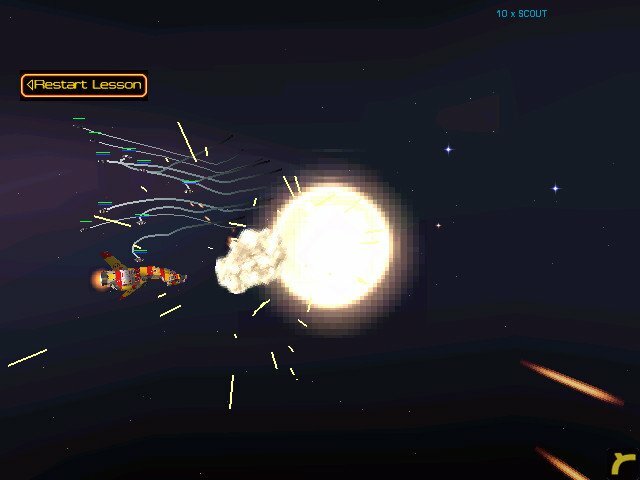 You can’t just waste your units in an effort to batter down the computer’s defenses in the expectation that you can always build more to replace them. As refreshing as the campaign structure is, it’s not flawless. In fact, Relic can be fairly accused of taking the concept of mission carry-over a bit too far. Not only do you have to preserve resources from mission to mission in order to win the campaign but you have to take the time after you’ve beaten the computer in each mission to collect all the available resources left in that scenario. The problem with this is that no one in the game tells you this. You have to figure it out for yourself, and all too often figuring out for yourself means going back over missions that you had assumed were completed. Indeed, ship building exacerbates this problem, because it’s possible that you can get several missions down the road only to discover that you didn’t build (or steal) the right ships, in which case the only choice is, again, to go back to the beginning. These problems are not game wreckers. 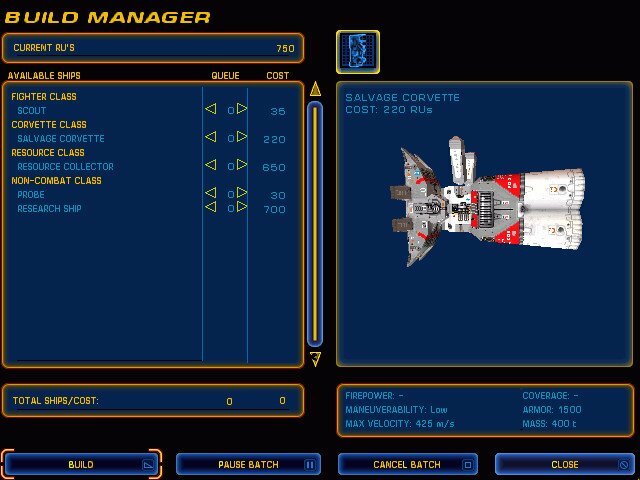 The campaign is so beautifully constructed that you probably won’t mind playing some of the missions more than once, and once you get the hang of resource gathering, ship building, and ship hijacking, you’ll probably move smoothly through the remainder of the campaign. 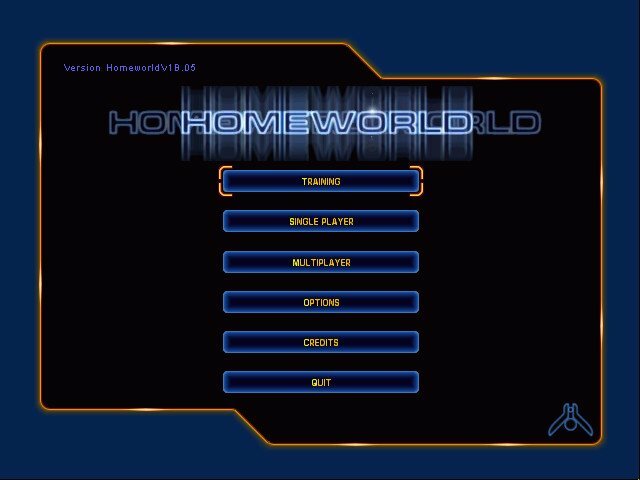 Nevertheless, a little bit of practice with Homeworld’s excellent tutorials will have most players up to speed quickly as they fill you in on just about everything. 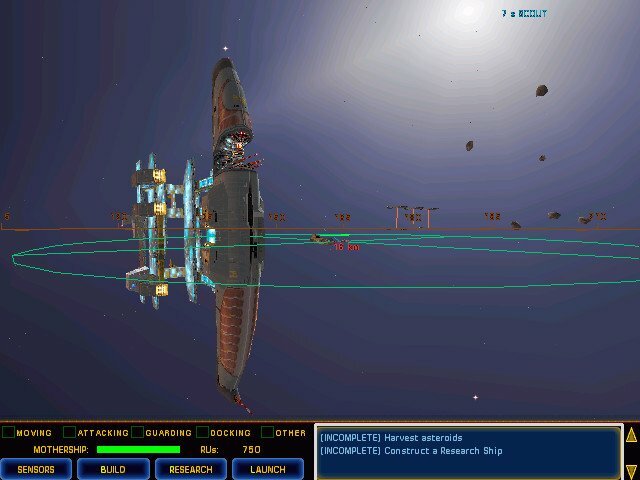 Beyond the tutorials, there’s skirmish mode against the computer, which includes a difficulty slider that really works in adjusting the computer opponent from pushover to quite challenging. And beyond skirmish mode, of course, there’s the excellent multiplayer. 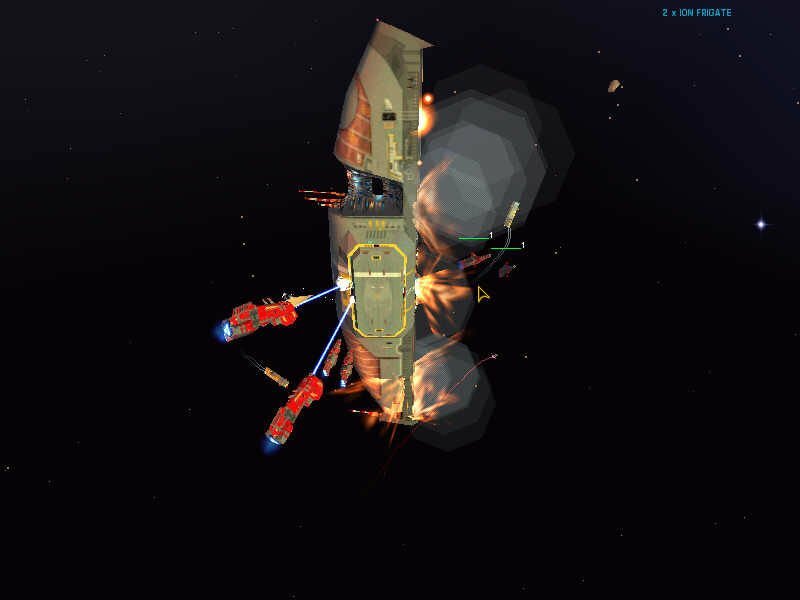 In short, there are few things to dent the quality that is on offer with Homeworld, and it definitely counts as one of the most original space combat strategy games around. can you seed your torrent for a few hours? Thanks. My laptop died. I can’t seed right now. If more people seeded after downloading, this wouldn’t be a problem. Sorry. ay man, I just dl’d it from a lone peer I think may be yo seedbox. am changing my seed limit for ya, really appreciate yo work on abandonware. Man, I have to say this. 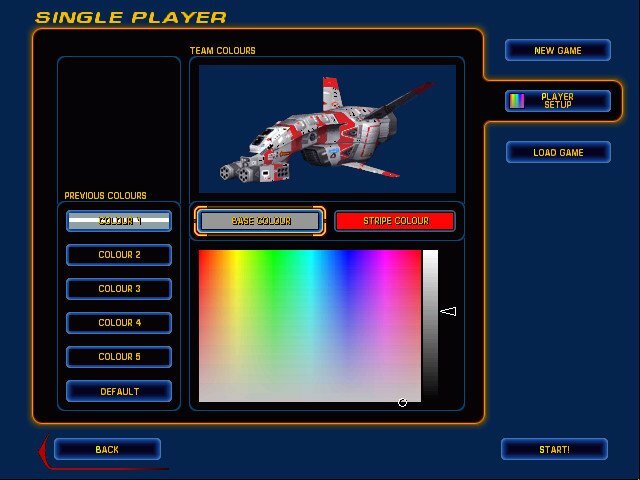 I played it when I was a kid and I need to play it again!